Alarm goes off 4:30 AM, race morning and in 2.5 hrs you will be racing your guts out for over 26 miles. You are foggy and the pre race jitters only gave you a solid couple of hrs of sleep. First thought coffee and lots of it. Get the mind and system going. You start if first then second and fill up tall one for the car ride. You arrive at the race and are in need of bathroom immediately before anything. The only issue is coffee is a diuretic and you need to pee a lot even up to the starting line. It’s happened to me going to bathroom is constant-and all due to too much coffee. I remember in the Boston Marathon I had to stop to pee right after stop which caused me to not break the 4 hr mark and it was that close. I have searched high and low and have figured out a solution and here it is. 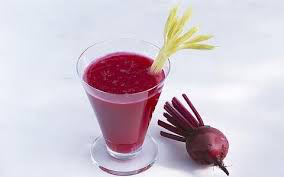 One tall cup of coffee immediately and then a concoction of beet juice in water, the beet juice has sugar and it helps to keep you sharp. I have started to limit to one good cup of coffee and leave the rest up to other options, the beet juice I noticed has been best solution. Wash all the vegetables and fruits under running water. Scrub beets well with your hands or veggie scrubber as beets tend to have dirt on them. Cut off the carrot tops. For beets, cut off the tops and bottom. Quarter the beet, if it would not fit in your juicer feed. Peel the orange. Juice the ginger first (if using) followed by beet, carrots, and orange. Enjoy!